Serious illnesses, injuries, and conditions can disrupt a child’s normal learning abilities. For instance, a child may have impaired communication skills that prevent him or her from hearing or seeing, or a mental disability that disrupts cognitive functioning. In these cases, the child may be eligible for special education classes at his or her school. While special education classes are a wonderful way to help a child learn, caring for a disabled child can be very difficult for parents. Thus, the Social Security Administration offers disability coverage to help pay for medical bills and other needs. However, you must prove the disability first. To help you with the application process, contact an Indiana long-term disability lawyer from Hankey Law Office at (800) 520-3633. In 2004, the United States government passed the Individuals with Disabilities Education Improvement Act, or IDEIA. Its purpose was to address the changing needs of disabled schoolchildren whose rights to education were originally protected under the Education for All Handicapped Children Act of 1975. The IDEIA offers formula grants to states to help with special education programs and training for special education teachers, among other things. This ensures fair education for disabled children. In some cases, a child whose disability requires special education may also be eligible for Social Security benefits to help with medical bills as well as other needs. If your child has a disability, you should consult a lawyer about the disability coverage application process. 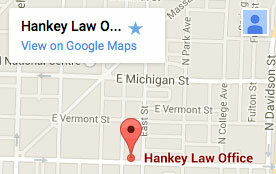 For more information, contact an Indiana long-term disability attorney from Hankey Law Office, at (800) 520-3633 today.